For all of you Reign fans, have you guys noticed that King Henry is totally losing his mind? Yeah, it’s not too hard to notice. But have you also noticed the hallucinations he has along with the pesky headaches he’s been getting lately? Why does King Henry keep seeing the apparition of a young boy who’s holding a tennis racquet? Well, this is my theory on this ghost boy. Reign is a historical show; so many of its plot points will be pulled from history facts. Reign has shown that it mostly does stick to accuracy when it comes to its core characters. In this last episode, “Long Live The King,” King Henry talks to Francis about his childhood. He tells a story about when he and his brother were taking as prisoners to Spain. This is the first mention of his brother we have ever heard throughout this whole season, and it was all I needed to confirm my suspicions. Let’s go down history lane for a sec so we can connect all the dots to this hallucination that’s so terribly tormenting Henry. Henry II was a monarch of the house of Valois. His father was Francis I of France, and Henry was his second son. Henry’s older brother was Francis III, Duke of Brittany. If you read up on the Valois family, Reign is following everything to the tee so far, the brothers being used as the ransom agreement to secure Francis I’s release. It makes sense that the show also follows along with the majority of the structure of what really went down in history with this family. It was Francis III who was supposed to succeed Francis I as ruler of France. But, Henry became the Daupin of France once his brother died at 18 years old. How did his brother die? Playing tennis. Coincidence? I think not. It is said that the cause of Francis III’s death was very suspicious. Many believe that he was poisoned. After playing a round of tennis, he went to drink some water, after drinking it he collapsed and just a few days later died. His secretary, Count Montecuccoli, confessed to having poisoned the Dauphin of France. But as we also know from Reign, Queen Katherine has an expertise with poisons. Could it be that Henry and Katherine were responsible for his murder? 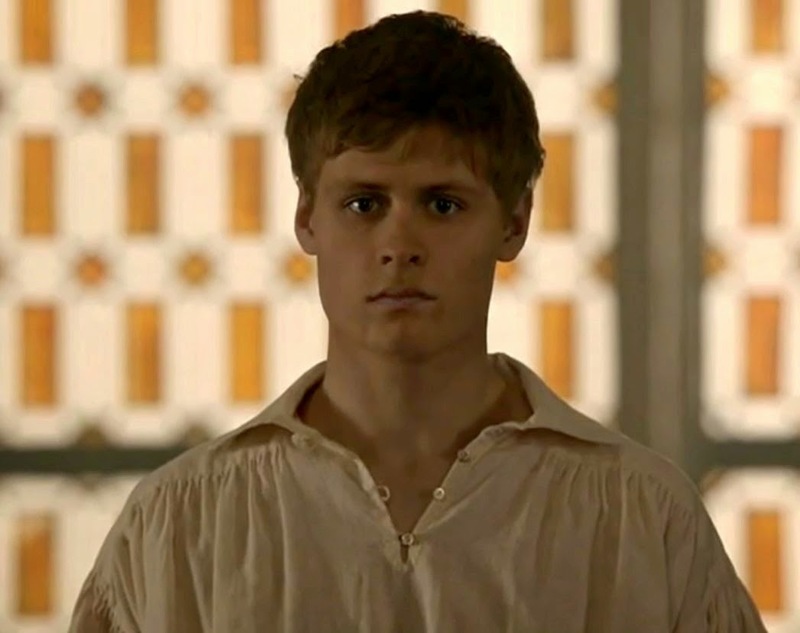 Was Henry jealous of the favoritism that his father had with his brother? Which is quite funny, as history repeated itself when Henry clearly showed favoritism towards Bash for so long. My theory believes that there was pent up anger and frustration that Henry had towards his brother. With Katherine by his side, I am sure the hunger for power incremented, as they both would rule if Francis III were dead. Killing Francis III meant Henry would finally be able to rule. His death would shorten the line of succession. Henry is being haunted by his brother’s ghost (who enjoyed the game of tennis even in the after life clearly) as his guilt has caught up with him after all these years. The condemnation of the murder of his own brother has caused him to go manic, and that’s why he also tries to convince himself that it was God who chose him to rule over France. It’s no wonder that Henry has been tripping! At least Henry named his first son Francis, possibly in honor of his brother too. Well, isn’t that nice, Henry! So that does it, my theory for why King Henry has been going mad and the hallucination he has been seeing. That’s my explanation for the creepy teenage boy who randomly appears and torments Henry just with his stare. Now, in history King Henry died during a jousting accident. In the preview trailer for this week’s season finale for Reign, there’s a big jousting tournament to go on. It will be interesting to see how far will Reign follow history’s timeline and events.